Additional information Zed's sire Numero Uno completed his performance test triumphantly: he received a 9.0 for canter and scored an average of 8.5 for jumping components. His explosive take-off earned him 9.0 points. After a successful show jumping career with European Champion Marco Kutscher, Numero Uno today has turned out to be one of the leading sires in the world. Numero Uno, father to six approved KWPN stallions, is sire to many champions in international show jumping, ability tests and stallion approvals. Zed's grand-sire Goodwill was Reserve Champion of his "100 day " testing in Holland in 1991. Goodwill is described in the Leading Stallion's of the Netherlands '95 as "a classy, true to type stallion, very well developed, with a particularly pleasant temperament. At his performance test Goodwill received the mark 9 four times, for instance for free jumping and jumping under saddle. Zed is a spirited horse with good blood. This big gelding has a huge jump. 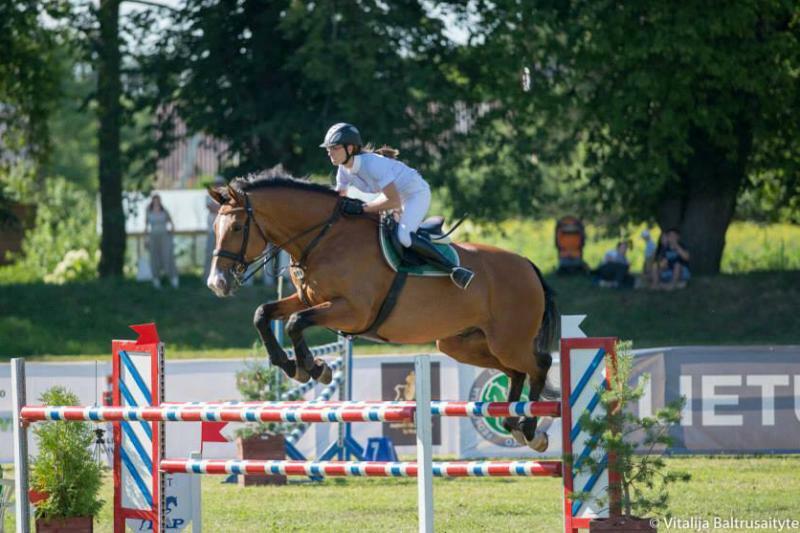 He is already able to compete up to 1.35 m class and has the potential to go even higher. He is always motivated when working and provides a rhythmic and harmonious ride over the course, forgives riders errors. Zed is a real confidence giver and is also very suitable for all kind of riders.